*PRIZE* THE KNOOK BEGINNERS PACK + A SKEIN OF PEACHES & CREME FOREST GREEN!! The Knook allows you to knit with a crochet hook! A knitting needle and crochet hook in one! 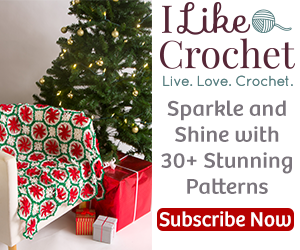 This beginners pack gets you started with 3 knooks, 3 cords & Instruction book for beginners- both right and left handed instructions are included plus you will receive a skein of Forest Green Peaches & Cream cotton yarn! To enter, simply upload your creation and write a short description. Make sure that your description includes the original artist (pattern author). Your creation is your favorite granny square pattern. It can be any theme, any color, knit or crochet, but must be made by you, the final picture you post must be your own. As with our last contest, the winner will be the entry with the most votes their creation, the difference is, this contest is being run on YarnWars Facebook page rather than group. This will allow your friends & family to vote for your entry without having to join the group and wait to be added. This contest will run from the time posted, November 28 until Sunday December 7th. All entries must be in by midnight Sunday December 7th. Voting will run until the following Wednesday, December 10th. Winner will be announced Thursday, December 11th. I am open to suggestions for upcoming contests, I am thinking about making the next contest a drawing. Any ideas, please feel free to pm me!